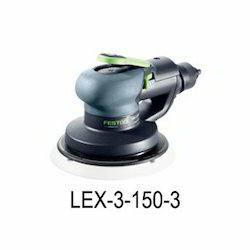 Offering you a complete choice of products which include compressed air eccentric sander and air eccentric sander. Characterized by extreme robustness, low vibration levels, a pleasant operating noise and low compressed air consumption. Ideal in conjunction with the IAS 3 SD with safe dispersion of exhaust air through a compressed air hose. The IAS 3 light hose is recommended for repairing small damaged areas with dust extraction. Pleasant operating noise, low vibration levels and safe dispersion of exhaust air through a compressed air hose protect the health of the user. Sanding pad brake reduces sanding errors when setting down the machine, thereby avoiding rework and additional costs, Low compressed air consumption ensures high cost savings. 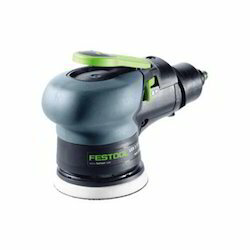 Main strengths: Fine 2.5 mm sanding stroke for surface finishing.